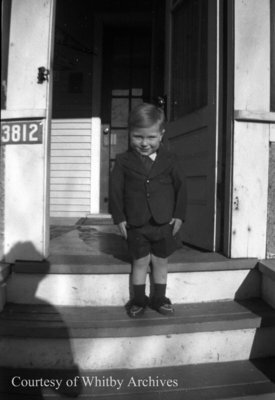 A black and white medium format negative of an unidentified young child standing outside on porch steps. In this view the child is smiling at the photographer. Unidentified Child, c.1940s, Marjorie Ruddy. Whitby Archives A2013_040_414.